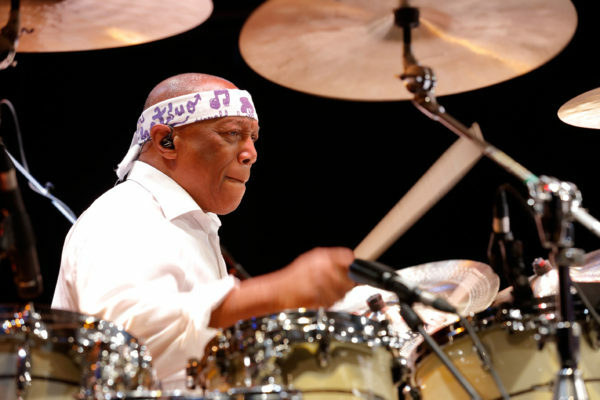 William Emanuel “Billy” Cobham Jr. (born May 16, 1944) is a Panamanian-American jazz drummer who came to prominence in the late 1960s and early 1970s with trumpeter Miles Davis and then with the Mahavishnu Orchestra. According to AllMusic’s reviewer, Cobham is “generally acclaimed as fusion’s greatest drummer”. Of late, Billy had been working on a series of recordings that are a tribute to his parents and his roots. The project is call “Fruit From The Loom”. The first CD, of the same name, was released in 2009. The second CD – “Palindrome” was released in 2010. In 2013 was released the third recording entitled “Tales From The Skeleton Coast”. Then Billy worked on the recording entitled “Billy Cobham Spectrum 40 Live” and released this project at the beginning of 2015. In 2016, Cobham developed and introduced a groundbreaking educational program for rhythm section musicians, known as The Billy Cobham Art of the Rhythm Section Retreat, held in Mesa, Arizona. This immersive learning experience, designed for drummers, bassists, guitarists and keyboardists alike, helps musicians learn to play more cohesively as a unit and develop better teamwork and stronger communications skills throughout the band. Entering its third year of operation, the Retreat continues to expand and evolve in its scope, attracting accomplished musicians and music educators from around the world. In March 2016, Cobham performed in Poland with Polish National Jazz Orchestra in Katowice. Later, he performed his compositions with the Guy Barker Big Band at Ronnie Scotts Jazz Club in London, SWR Big Band in Stuttgart and later in 2017, with the Luxembourg Jazz Orchestra in 2017. Also in 2017, Cobham recorded and released a CD with the new Swiss Youth Jazz Orchestra, including four time Grammy-winning Klaus Genuit, Master Engineer at Hansa Haus Studios as mixer, with performances by Ryan Quigley, Bobby Watson, Marques Young, Jeremy Monteiro, Rudi Engel, and some gifted members of the Swiss Youth Jazz Orchestra: Fabian Tschopp, Mathieu Bitz, Felix Piringer, Sofie Schindelholz, Gergő Szax, Dmitry Zinakov, Ivan Akatov, Sebastian Wey, Silvio Benz, Jérémy Lenoir, Riccardo Ooms and Loris Di Marco. This album pays homage to the late Dave Brubeck, the pianist and jazz icon who was an inspiration to many a composer, writer and player over many decades. The theme provided a perfect setting for a production in an educational platform like the ‘Bandstand Learning With Role Models’ at the annual Jazzaar Festival in Aarau, Switzerland, where Cobham served as maestro. He is also currently working on producing a new portfolio of music that is slated for release imminently for the fourth CD in the aforementioned four-volume set. The release of the Billy Cobham Real Book through Hal Leonard Publishing is imminent and will be in music stores throughout the world before the end of 2017. In addition to Cobham’s infinite musical explorations, he is an accomplished photographer, who began shooting seriously when he was in the U.S.Army in the mid-60’s. In recent times, Cobham’s works have been displayed at the Leica Gallery Mayfair, London. In 2017, he collaborated with Scene Four on an ingenious and visually stunning “Rhythmic Expressionism” art series created by long-exposure photography and lighted drumsticks that capture Cobham’s legendary, dynamic performance movements.